Kick off your visit on the 2nd (Mon): explore the wealth of natural beauty at Syote National Park. To find traveler tips, where to stay, more things to do, and tourist information, refer to the Syote trip planner. Boston, USA to Syote is an approximately 18-hour flight. Traveling from Boston to Syote, you'll lose 7 hours due to the time zone difference. Expect much colder weather when traveling from Boston in September: highs in Syote hover around 52°F, while lows dip to 40°F. Finish up your sightseeing early on the 2nd (Mon) so you can travel to Posio. Posio is a municipality of Finland. On the 3rd (Tue), explore the striking landscape of Riisitunturi National Park. To see ratings, other places to visit, more things to do, and more tourist information, go to the Posio trip itinerary tool . Getting from Syote to Posio by car takes about 1.5 hours. In September, daily temperatures in Posio can reach 52°F, while at night they dip to 40°F. Finish your sightseeing early on the 3rd (Tue) so you can travel to Pyhatunturi. You've now added Pyha-Luosto Visitor and Culture Centre Naava to your itinerary. On the 4th (Wed), get all the information you need at Pyha-Luosto Visitor and Culture Centre Naava. Keep things going the next day: explore the wealth of natural beauty at Pyha-Luosto National Park. For ratings, reviews, and more tourist information, you can read our Pyhatunturi route builder app . Drive from Posio to Pyhatunturi in 2.5 hours. In September, daily temperatures in Pyhatunturi can reach 54°F, while at night they dip to 41°F. Finish your sightseeing early on the 5th (Thu) to allow enough time to travel to Kilpisjarvi. Muonio is a municipality of Finland.The town is located in far northern Finland above the Arctic Circle on the country's western border, within the area of the former Lappi province. On the 8th (Sun), get outside with Seven Fells Up. 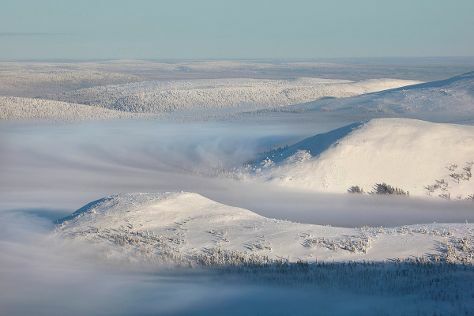 Keep things going the next day: glide through natural beauty at Pallas-Yllastunturi National Park. For more things to do, where to stay, reviews, and more tourist information, read our Muonio trip itinerary builder tool . You can drive from Kilpisjarvi to Muonio in 3 hours. The time zone difference when traveling from Kilpisjarvi to Muonio is 1 hour. In September, daily temperatures in Muonio can reach 51°F, while at night they dip to 39°F. Cap off your sightseeing on the 9th (Mon) early enough to go by car to Levi. For ratings, other places to visit, photos, and other tourist information, go to the Levi holiday planning tool . Getting from Muonio to Levi by car takes about an hour. In September in Levi, expect temperatures between 53°F during the day and 40°F at night. 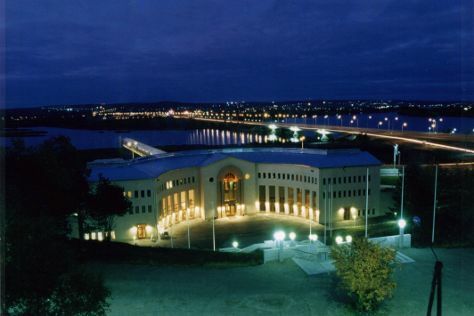 You'll set off for Rovaniemi on the 12th (Thu). On the 13th (Fri), pause for some serene contemplation at Rovaniemi Church and then get engrossed in the history at Arktikum. Get ready for a full day of sightseeing on the 14th (Sat): look for all kinds of wild species at Wildlife Areas and then look for gifts at Your Piece Of Finland. You can drive from Levi to Rovaniemi in 2.5 hours. Alternatively, you can take a bus. In September, plan for daily highs up to 53°F, and evening lows to 42°F. Cap off your sightseeing on the 14th (Sat) early enough to travel back home.